Featured » They’re Nearly Here! The Stanley Park Pacific great blue herons are due to return any day now. We are ready for them! The gates around the nesting trees are closed. New flashing—to prevent raccoon predation—is installed. We mapped and counted the existing nests. All we need now are the birds! Their return marks the start of the exciting heron breeding season. There have been a few fly-bys of herons near the colony, but with all the recent snow, it has been quiet this past week. We eagerly await the first signs of their return: males staking out the nests from the rooftops of nearby buildings. When they do return, the Vancouver Park Board will turn on its popular Heron Cam. 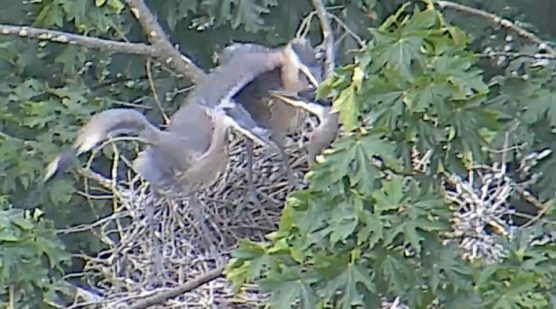 This year, the Heron Cam has some new tricks up its proverbial sleeve: it will capture and post time-lapses of each day’s activity. The amount of time viewers get control of the camera to survey all the activity around the colony is doubled this year, too. 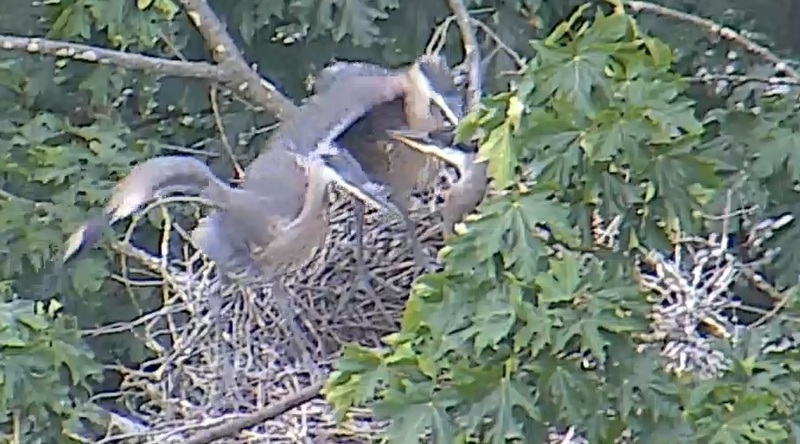 As always, the Heron Cam provides the ultimate live, bird’s-eye view of this unique urban colony. New for this year, Stanley Park Ecology Society will provide live, in-person, on-the-ground, weekly interpretation sessions at the colony. We will keep you informed about our naturalist’s schedule through facebook and twitter using #HeronTalk. 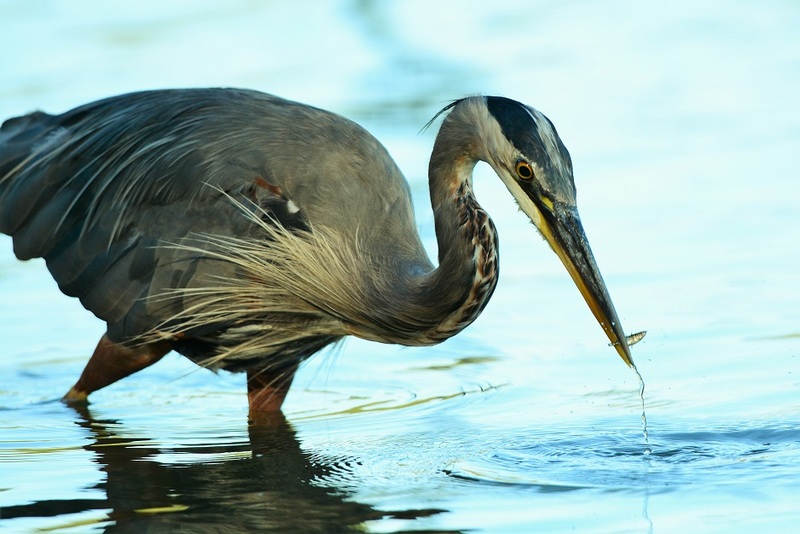 Come down to the heron colony by the tennis courts in Stanley Park and take a guided look at the nesting activities of these magnificent birds. The Pacific great blue heron is a species at risk due to habitat loss and population decline. You can help support our heron monitoring and education efforts by symbolically Adopting a Heron Nest for the 2018 season.